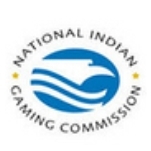 Established in conformance with the Indian Gaming Regulatory Act of 1988 (IGRA), which legalized gambling on Native American land, NIGC is responsible for overseeing Indian gaming enterprises, to aim to assure there’s no corruption, and that the funds generated are used only as the act mandates. However, in the mid-1990s, Republican lobbyist and businessman Jack Abramoff began representing some of the tribes with gambling interests. He received more than $85 million for those services, for helping get lawmakers’ minds changed, bills passed, and defeated, and competition eliminated. But it was eventually revealed he was often using this money for his own self-interest as well, and in 2006 he pleaded guilty to felony counts of conspiracy, fraud, and tax evasion, involving charges stemming primarily from his work for the tribes. He was sentenced to five years and 10 months in prison, and ordered to make restitution to the tribes of at least $25 million. NIGC was created at a time when there were a growing number of Indian tribes engaged in gaming activities on Native American lands, but when there were no federal laws to provide clear standards or regulations for the conduct of gaming on those lands. Since 1988, NIGC has administered numerous investigations and audits, in an attempt to ensure the gaming establishments are complying with the standards outlined in the IGRA, as well as with the new policies they created as times and situations changed. However, there have been many complaints, from people directly involved, as well as outside observers, about the job NIGC has done. Among the issues: That there’s been a glaring lack of enforcement; confusion about jurisdiction; a continuing potential for large-scale criminal activity and influence; way too small a staff to handle the huge scope of areas to cover; and questions about how the net revenue from the gaming is actually used. NIGC is an independent federal regulatory agency that monitors the work of Native American tribe’s gaming regulators, aiming to insure that the Indian Gaming Regulatory Act is adhered to, and to promote economic development and self-sufficiency within the tribes. Solely funded through fees collected from gaming operations under its jurisdiction, NIGC conducts investigations, background checks and audits; undertakes enforcement activities; approves ordinances before gaming can occur; and issues notices of violation and closure orders. It also works to stay on top of new innovations, ideas, and changes in technology, and provides training to the Indian gaming industry and regulators. Headquartered in Washington D.C. and overseeing around 400 casinos, NGIC also has five regional offices, which are located in Phoenix, Arizona; Sacramento, California; St. Paul, Minnesota; Tulsa, Oklahoma; and Portland, Oregon. Abramoff, who is currently serving time after pleading guilty to three felonies related to defrauding Native American tribes, and corruption of political officials, first got involved in politics as a student at Brandeis University, working on Ronald Reagan’s 1980 presidential campaign. After holding various positions in other Republican organizations, and after a decade as a film producer (he produced Red Scorpion and Red Scorpion 2), he turned to lobbying when the Republicans took over Congress in 1994. A year later he began representing some Indian tribes involved in gambling operations, utilizing his political contacts to secure results favorable to the tribes’ varying interests. He was also giving illegal gifts and campaign contributions in the process, and often overbilling the tribes, as well as engaging in well-planned-out business deals with associates, using the tribes’ money for their own interests. In time, his activities began raising red flags in the government, particularly when it became apparent that he was working both sides of some gaming issues, including helping get a Texas Indian casino shut down, then persuading the tribe running it to pay to get Congress to re-open it. Currently, Abramoff is cooperating with the government - from prison - as it continues its investigation of members of Congress with whom he allegedly did business. If Indian casinos were properly taxed none of us would have to worry about Healthcare... if all Americans are equal then why are all of us living in purgatory and the Indians are not taxed? I play at the Coeur d alene casino. Their keno machines has been unusually tight for quite a long time. So tight that I feel they are stealing from their customers. Also there are rumors of teams of house players that are playing for profit (personal profit) I don't know if that is true but it sure appears to be a possibility. What I do believe is that something is not right. The other day my keno machine would flash "bonus disabled " it would do this on every first ball then I would win nothing. It did this about ten times every half-hour. So I call a tech over to ask what gives and he said he didn't know but it looked like something was wrong with my vip card but he didn't think anything was stopping paybacks. A few minutes later I went to the bathroom and asked my wife to watch my machine. She told me right after I left an Indian guy ran up to my machine and pulled out my vip card and ran off. It just very strange the things that are going on in that casino. Someone needs to look into it. When will Indian gaming value the health of all people and ban smoking inside casinos so that people can breathe clean air? Of particular concern is when a state goes smoke free, Indian gaming refuses to go smoke free even though it is going to benefit the health of the employees and patrons. This is a health issue that needs your attention. Please consider the health impacts of secondhand smoke to all. Thank you. Hi Searching for government aency in California that handles indian tribes that also do gaming. On July 22, 2014, President Barack Obama nominated Jonodev Osceola Chaudhuri to be chairman of the three-member National Indian Gaming Commission. Chaudhuri has been a member of the commission since September 2013 and its acting chairman since October. Chaudhuri is from Tempe, Arizona. His father, Joyotpaul Chaudhuri, who was born in India, was a college professor, and his late mother, Jean, was from the Muscogee (Creek) Nation. Jean, whose first two languages were Creek and Cherokee, spent her career working for Native American civil rights. Jean and Joy collaborated on a book, A Sacred Path: The Way of the Muscogee Creeks. Chaudhuri attended Dartmouth, where he earned a B.A. in 1993. He took a few years off before going to law school at Cornell, getting his law degree in 1999. Chaudhuri then returned to Arizona to clerk for two state appellate court judges; Judge James Ackerman from 1999 to 2000 and Noel Fidel from 2000 to 2001. After his clerkships, Chaudhuri joined the law firm of Snell & Wilmer in Phoenix as an associate. He worked on Indian law, business and finance and commercial litigation. He struck out on his own in 2006, running his law firm until 2010. It was also during this time that Chaudhuri began sitting as a judge in Native American nation courts. He was an appellate judge on the Muscogee (Creek) Nation Supreme Court and the San Manuel Mission Band appellate court and an associate judge for the Puyallup Tribe of Nations. Chaudhuri joined the Maricopa County (Arizona) public defender’s office in 2010 but continued to serve on Indian courts. In 2012, Chaudhuri was named senior counselor to the assistant secretary for Indian affairs in the Department of the Interior, where he served for a year before moving to the gaming board. Chaudhuri is the editor of The Yavapai of Fort McDowell: an Outline of their History and Culture (1995) and a contributing author of the anthology Re-creating the Circle: The Renewal of American Indian Self-Determination (2011). Confirmed on June 22, 2010, as chair of the National Indian Gaming Commission, Tracie Stevens became the first woman to lead the oversight body for the $27 billion Indian gaming industry. A member of the Tulalip Tribes in Washington State, Stevens was born in Los Angeles, but returned to Tulalip as a child. In 1985, she became the first member of her immediate family to graduate high school, which she did in Yakima, Washington, in 1985. She began her professional career in the gaming industry in 1995 at her tribe’s casino (Quil Ceda Creek Casino), located north of Seattle. There, she worked in human resource management, employee recruitment and training, and operations planning and analysis, before becoming the Tulalip Casino’s executive director for strategic planning in 2001. In 2003, she became a legislative policy analyst in the tribe’s government affairs office. She represented the Tulalips in negotiations to update gambling compacts between the state of Washington and all federally-recognized tribes in the state. She also lobbied state lawmakers on tribe-related bills, including a controversial measure in 2005 to allow the Tulalips to retain millions in sales tax revenue collected at Quil Ceda Village. The bill did not pass. In 2006, Stevens was elevated to senior policy analyst, a position she held until 2009. Also in 2006, Stevens received a Bachelor of Arts degree in social sciences from the University of Washington-Seattle, an accomplishment that took many years, as she had to attend night school while working. 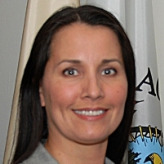 During her time working for the tribe, Stevens also served as the chair of the gaming committee for the Affiliated Tribes of Northwest Indians (2003-2009), as secretary of the board of directors for the Washington Indian Gaming Association (2002-2009) and as the northwest delegate for the National Indian Gaming Association (2003-2009). In July 2009, Stevens accepted her first position in the Obama administration, becoming senior advisor to Larry EchoHawk, assistant secretary for Indian affairs in the U.S. Department of Interior. In this role, she provided policy guidance on tribal issues such as gaming, law enforcement, energy, tribal consultation, economic development, land-into-trust, tribal government disputes, budget priorities, and treaty and natural resource rights. Stevens and her husband, Kyle, have one daughter, Cierra.